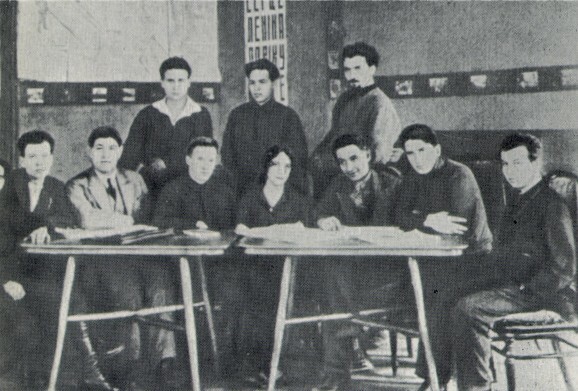 The Berezil theater's director's lab (1925). Sitting (l-r): Ya. Bortnyk, V. Vasylko, B. Tiahno, Z. Pihulovych, Les Kurbas, F. Lopatynsky, Yu. Lishchansky. Standing: P. Bereza-Kudrytsky, I. Kryha, A. Irii.